The mainstream claims about carbon dioxide , global warming, and climate change, parroted by most media and accepted by most of the world’s governments, are rather straightforward: carbon dioxide released in the burning of “fossil fuels” (chiefly coal and oil) drives global warming because CO2 is a “greenhouse gas”, absorbing heat that would otherwise radiate harmlessly out into space. 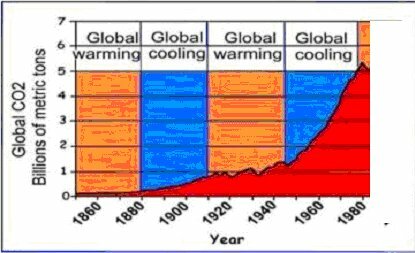 Since the mid-19th century, when the Industrial Revolution set off this promiscuous releasing of CO2, the Earth has been getting hotter at an unprecedented pace. The trouble with these claims is that actual data demonstrate that global temperature is not determined by the amount of CO2 in the atmosphere. 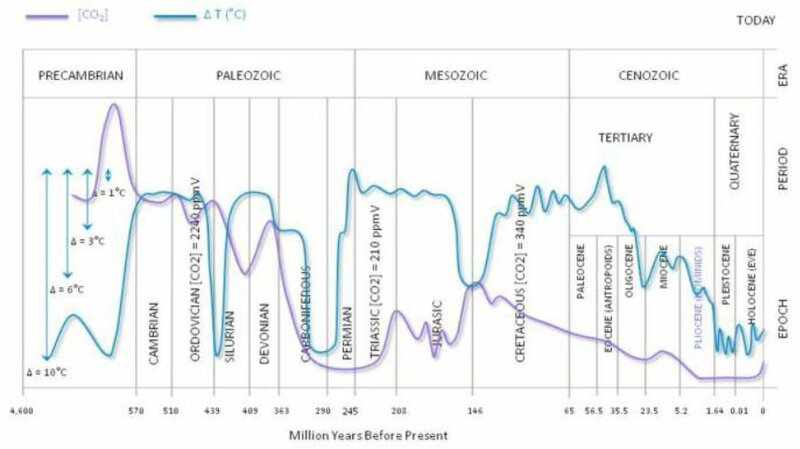 Towards the end of the Precambrian Era, CO2 levels (purple curve) were very much higher than now while temperatures (blue curve) were if anything lower. Over most of the more recent times, CO2 levels have been very much lower while temperatures most of the time were considerably higher. Moreover, the historical range of temperature fluctuations makes a mockery of contemporary mainstream ambitions to prevent global temperatures rising by as much as 2°C; for most of Earth’s history, temperatures have been about 6°C higher than at present. 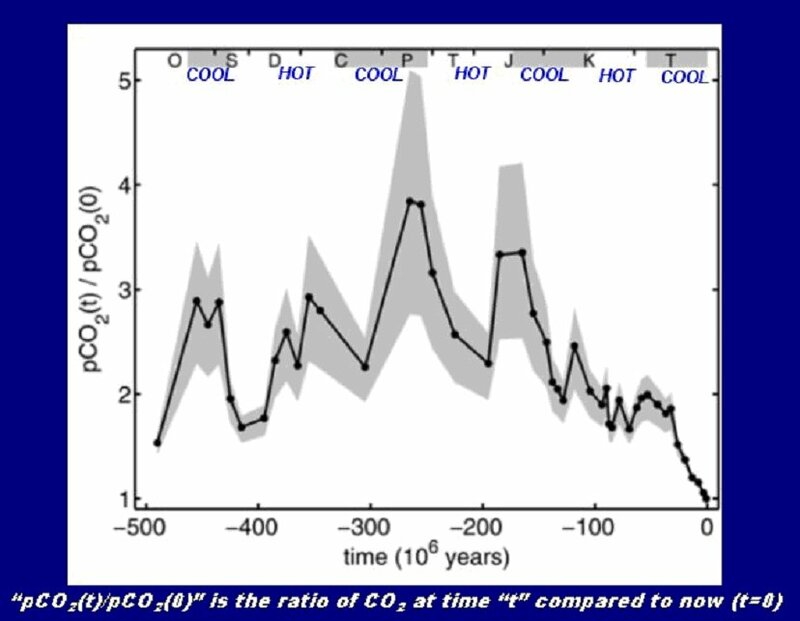 On average, CO2 rises lag about 800 years behind temperature rises; and CO2 levels also decline slowly after temperatures have fallen. of the ice lost during the 1915–1945 warm period”. Quite clearly, CO2 is not the prime driver of global temperature. 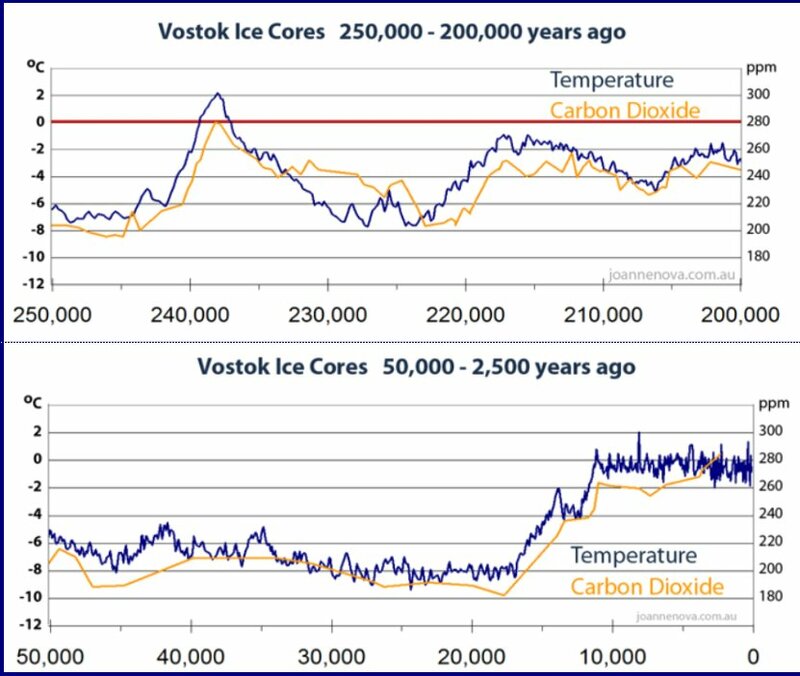 Data, facts, about temperature and CO2 demonstrate that something else has far outweighed the influence of CO2 levels in determining temperatures throughout Earth’s history, including since the Industrial Revolution. “Something else” can only be natural forces. And indeed there are a number of known natural forces that affect Earth’s temperature; and many of those forces vary cyclically over time. The amount of energy radiated to Earth by the Sun varies in correlation with the 11-year periodic cycle of sun-spots, which is fairly widely known; but there are many other cycles known only to specialists, say the 9-year Lunisolar Precession cycle; and these natural forces have periodically warmed and cooled the Earth in cycles of glaciation and warmth at intervals of roughly 100,000 – 120,000 years (the Milankovitch Cycles), with a number of other cycles superposed on those (6). So the contemporary mainstream view, the so-called “scientific consensus”, is at odds with the evidence, the facts. That will seem incredible to many people, who might well ask how that could be possible. How could “science” be so wrong? In brief: because of facts about science that are not much known outside the ranks of historians and philosophers and sociologists of science (7): that the scientific consensus at any given time on any given matter has been wrong quite often over the years and centuries (8); and that science nowadays has become quite different from our traditional view of it (9). Science: A Danger for Public Policy?! 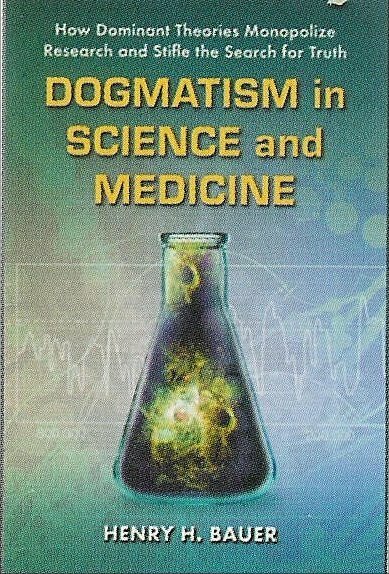 Alzheimer’s disease is one of the dysfunctional knowledge monopolies mentioned in my book, Dogmatism in Science and Medicine (pp. 108-9). Decades-old dogma takes the cause of the disease to be the build-up in the brain of plaques of amyloid protein. However, a mass of actual evidence indicates that theory to be wrong: there have been “hundreds of experiments casting doubt on the neurotoxicity of amyloid”; drugs and vaccines that act against the plaque have been ineffective; amyloid injected into brains of mice caused no symptoms. Yet researchers find it very difficult to get their evidence for other causes of Alzheimer’s published or to get research support for their work. “The two major brain abnormalities that underlie Alzheimer’s disease can now be viewed simultaneously in brain scans while people are still alive”. Amyloid plaque has been observable since 2005 by PET (positron emission tomography), but now one can also observe “tau tangles”, and “tau lesions are known to be more intimately associated with neuronal loss than plaques . . . . tau tangles accumulate first in the hippocampus — the brain’s memory centre — at a time when the plaques are already widespread. . . . Previous research has shown that the tangles rapidly kill neurons and trigger behavioural changes. . . . [The new] images suggest that the plaques are themselves harmless, but help to advance disease by spreading the tau tangles from the hippocampus to other brain regions” [emphases added]. Note first that “the scientific method” * that so many pundits still cite and believe in states that a theory is discarded when the evidence goes against it. Here, the mass of evidence against amyloid theory has not broken the grip of the dogmatic knowledge-monopoly. Even as it is acknowledged that tau tangles and not plaques are actually closely associated with loss of neurons, and that plaques were present “10 to 15 years before there are symptoms”, the amyloid theory is still paid obeisance by suggesting that amyloid plays an essential role by “spreading the tau tangles”. But since plaque pre-dates symptoms by a decade or more, surely it makes more sense to infer that plaque “may be neutral or even beneficial, perhaps attempting to defend neurons that are under attack” since “some amyloid can be found in the brains of most people over 40”. The New Scientist piece is based on Maruyama et al., “Imaging of Tau Pathology in a Tauopathy Mouse Model and in Alzheimer Patients Compared to Normal Controls”, Neuron, 79  1094-1108; the “et al.” stands for 24 additional names. That article begins, “Hallmark pathologies of Alzheimer’s disease (AD) are extracellular senile plaques consisting of aggregated amyloid β peptide . . . and intraneuronal . . . pathological tau fibrils, while similar tau lesions in neurons and glia are also characteristic of other neurodegenerative disorders” [emphasis added]. Tau tangles, but not amyloid, are known to be associated with a number of neurodegenerative disorders. Where was the need to invoke amyloid rather than tau as a cause of Alzheimer’s in the first place? Those who question established mainstream dogmas are routinely called “denialists” — “AIDS denialists”, “climate change denialists”, and so forth. In point of fact, it is typically the mainstream thatis truly denialist: evidence denialist. As Max Planck out it long ago, old theories die only as their proponents also pass away; science advances funeral by funeral. Comparing unbridled, uncritical belief in Science to religious faith has been quite common. The belief, faith, or ideology that science can deliver unquestionable certainty and that only science can answer all questions is called scientism. Toward the end of the 19th century, Thomas Huxley practiced scientism quite overtly as he preached self-described Lay Sermons on behalf of the Church of Science [Knight 1986]. In more recent times, however, scientism has become recognized fairly generally as an unwarranted faith and its adherents do not usually bear public witness to it, dissembling usually by claiming only a rational adherence to observable facts — of course, “scientific” facts. Nevertheless, common behavior and language use [Bauer 2001] reveal scientism to be a widespread, action-determining ideology; thus the phrase “scientific tests have shown” carries far more impact than “tests have shown”, implying that what is “scientific” is beyond doubt. 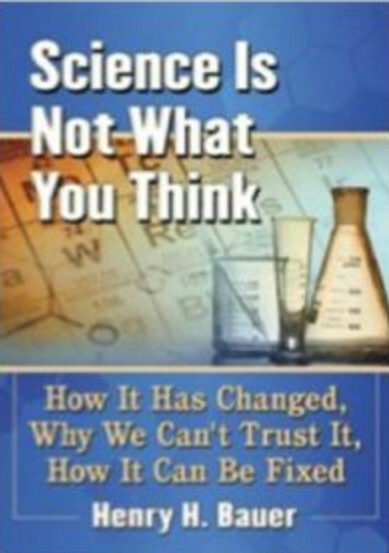 Such honorific use of “science” or “scientific” is one of the marks of scientism listed by philosopher Susan Haack [2013/14]; other clues include aping the methods and approaches thought to characterize science; drawing sharp distinctions between science and “pseudo-science”; obsession with “the scientific method”; crediting science with the capacity to answer any and all questions; denigrating non-scientific modes of inquiry. Comparisons of religion and science have largely focused on authorities and hierarchies, comparing scientific researchers to priests, and Scientific Establishments to Vaticans and other religious authorities. At least as significant in practice, though, for everyday matters including politics and social activities, is the similarity of the behavior of followers and acolytes of religion and the behavior of groupies and devotees of Science. Both accept their gurus’ pronouncements uncritically, unreservedly, in equally sheep-like manner, and both parrot those sayings without actual understanding of what they are talking about. Christian fundamentalists, for instance, profess the inerrancy of “the Bible” in blissful ignorance of the fact that there are many “Bibles” in many languages with many self-contradictions and mutual disparities. Environmental fundamentalists and left-leaning others describe global warming and its consequences in blissful ignorance of the pertinent facts, for instance that the greenhouse influence of carbon dioxide is much less than that of water vapor and about equal to that of methane, and that the official projections of future temperature are based on computer models that cannot explain the lack of warming during the last 15 years or so or the 7 or 8 cycles of changes over a range of 5-6°C during the last million years. Human beings appear to crave certainty of understanding and have sought explanations of observable things and phenomena for as far back in time as we can see and infer. Knowledge about themselves led humans to interpret natural phenomena anthropomorphically, in terms of powers and actions of spirits and super-spirits. The numbers of supposed Gods decreased over time, by 3 or 4 millennia ago shrinking among most people to just one all-powerful Being. Seeking certainty via “Science” has a shorter history, in particular the “modern” science that is less than a millennium old and which waged explicit battle against Christianity in Europe in the 18th century. That Science really won that battle is demonstrated by innumerable accommodations that most religions have made with the sciences, in extreme cases by casting religion as “scientific creationism” or its alter ego of “intelligent design”. That the victory enshrined Science as a faith held irrationally was pointed out by John Burnham (How Superstition Won and Science Lost, Rutgers University Press, 1987). In the human quest for certainty, religion and scientism are two incompatible extremes: both hold certainty to be attainable, but by distinct and incompatible means: in the case of religion via faith and revelation, in the case of scientism via empirical investigation. In both cases, perfectly sound logic is used to draw practical conclusions from the premises. The two extreme worldviews do not differ in rationality, only in the premises from which inferences and implications and applications are drawn. The space between those two extremes is very sparsely populated, by people who recognize that certainty is not to be attained and who try to live in that “existential” state. Whether acknowledged or not — to themselves as much as to others—, most people hold one of those two extreme beliefs; that is to say, they act as though they hold one of those beliefs. Those who do not hold one of those extreme beliefs are not much appreciated by those who do. Acolytes of a different religious faith are denigrated as non-believers, pagans, heretics, and have been persecuted sometimes to the point of death. Those who do not accept what the scientific authorities claim are denigrated as ignoramuses, pseudo-scientists, denialists, and are persecuted by sanctions on careers and reputations. Yet the premises of both religious faith and of scientism are demonstrably doubtful, not to say untenable. Religious believers hold a particular faith despite the fact that most other human beings disagree with their claims: Every religion is a minority religion. If the Jewish God is The One, then the Christian One cannot be, nor the Islamic One. Moreover, within each of those three umbrellas there are several sects in deadly opposition. Catholics and Protestants have engaged in mutual genocide, as have Shias and Sunnis. Yet acolytes of any given sect within any of the Big Three are somehow able to regard their own beliefs as the only really True One. Religious leaders and their followers manage somehow to ignore the significance of the fact that informed, intelligent people adhere with equal certainty to other faiths. They remain blissfully ignorant of issues fundamental to their premises and doctrines and guides to behavior. 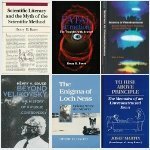 Quite similarly, Scientific Establishments and their followers manage to be blissfully ignorant of their own history, which demonstrates that in the long run they are always proved wrong as “science” “progresses” via Scientific Revolutions as well as less dramatic but significant continual modifications. Scientific Establishments and their followers willfully ignore the lesson that those whom they denigrate as denialists may well turn out to be the secular saints of future Establishments. 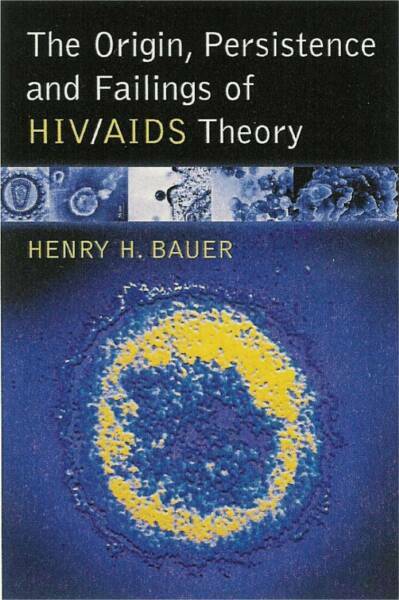 By ignoring substantive critiques by competent “denialists”, they remain blissfully ignorant of the flaws in their specific doctrines concerning, for example, the Big Bang, prescription drugs, global warming, HIV/AIDS [Bauer 2012]. 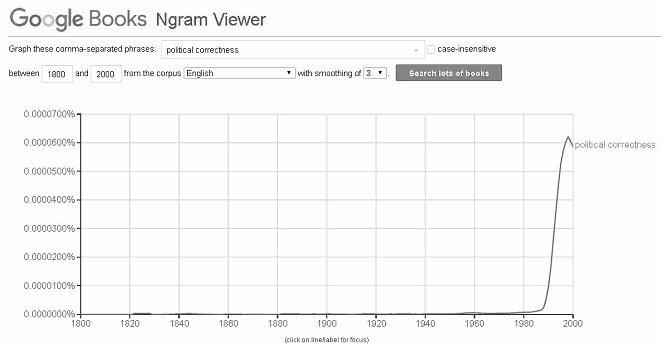 No matter how often Establishments claim to be evidence-based, even perfunctory browsing in the research and review literatures reveals that the mainstream consensus on many issues of considerable public importance is at the least seriously flawed, at the worst quite untenable. Public media, politicians, and official agencies all kowtow to Scientific Establishments, with the result that public policies are often seriously, even dangerously misguided.